Start by cutting the conduit about an inch short of you ceiling height. Then mark a point 3 1/4″ from each end. Drill a 3/4″ long opening in the conduit at each end, centered on the point you marked, taking care to make sure both holes are in same orientation. File and smooth the opening, since you’ll be pulling the power cord through. Attach some tape to the end of the fish tape, feed that into one drilled hole and out the other. I used some snips to clip off the back side of the power plug to a 45ish* angle, to allow it to fit in the 1/2″ conduit. Use zip ties to help pull the power cord through the conduit. Cap the top side with a rubber cap. Then thread two nuts onto the bolt, and put the other rubber boot over the bolt’s head. Place the top end of the conduit against the wall, and use a hammer to sink the nuts into the conduit. Attach the wooden plate to the top end of the conduit with the straps. Then attach the lighthouse mount to the wooden plate. Place the conduit into it’s position, and thread the nut out until its nice and tensioned. I found flexing the conduit would allow me to back the bolt out a little more and create a tighter fit. 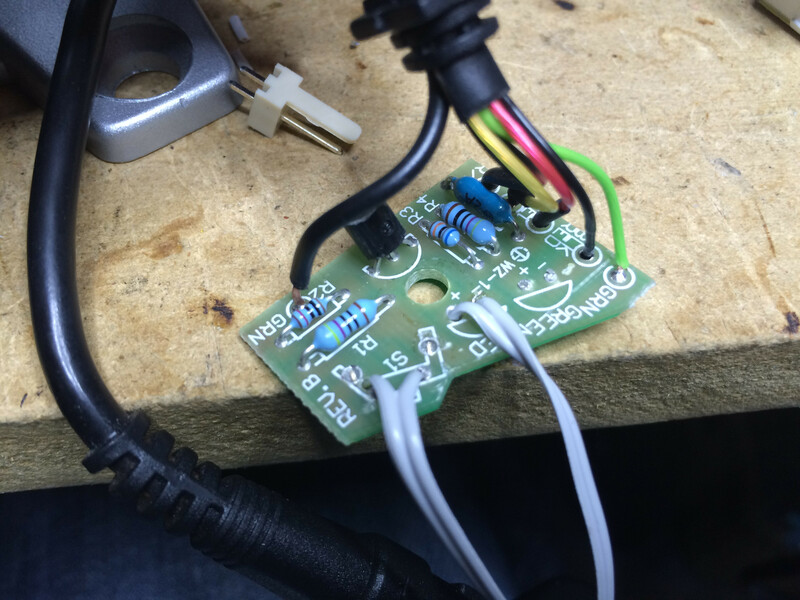 This project has been heavily modified to take advantage of the raspberry pi 2’s additional horsepower. If you are looking for the raspberry pi v1 code, look around version 62 in the repository. Version 70 and on are unlikely to work on the original pi, although I have not tried. Install a new copy of raspbian onto an sd card. Make sure all of the paths are correct for your system. If you’re using a fresh copy of raspbian and followed each step here, you shouldn’t need to edit anything. Click Yes when it asks about environment settings. Click the green arrow on the bottom-left to start building. The first build will take a while. If everything worked you should see the application open! If you get errors, try google or come back here and post a comment. Just drag your gcode file onto the app and it will pop out a file of the same name but with a .3w extension, overwriting any conflict. 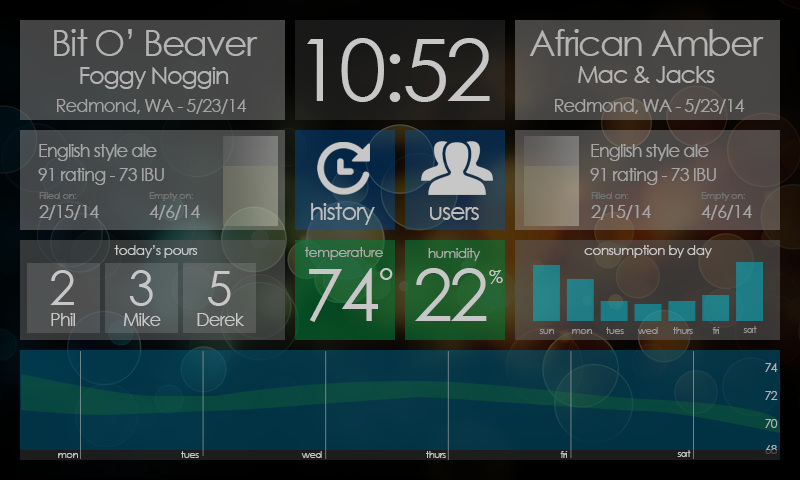 C# Source code is here if you’d like to compile it yourself as a new console app. You shouldn’t need to make any modifications, but you’re also welcome to. EXE download for those who can’t compile themselves. 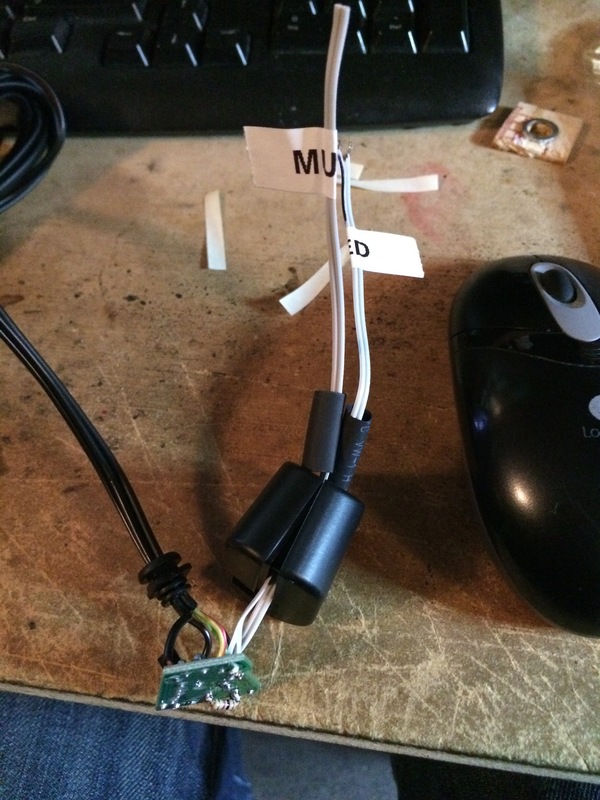 I wanted to hardwire my radar detector, but I wanted a mute button and alert led, something improved upon my last idea. 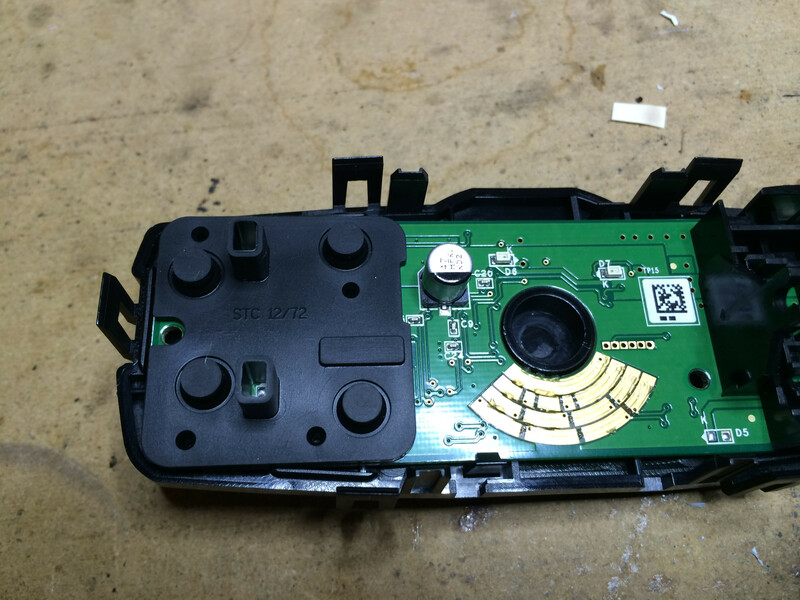 I decided to use one of the disabled buttons on the BMW F3x/F8x’s headlight module for the mute button. I create my own button contacts using copper tape to put over the top of the original module’s contacts. 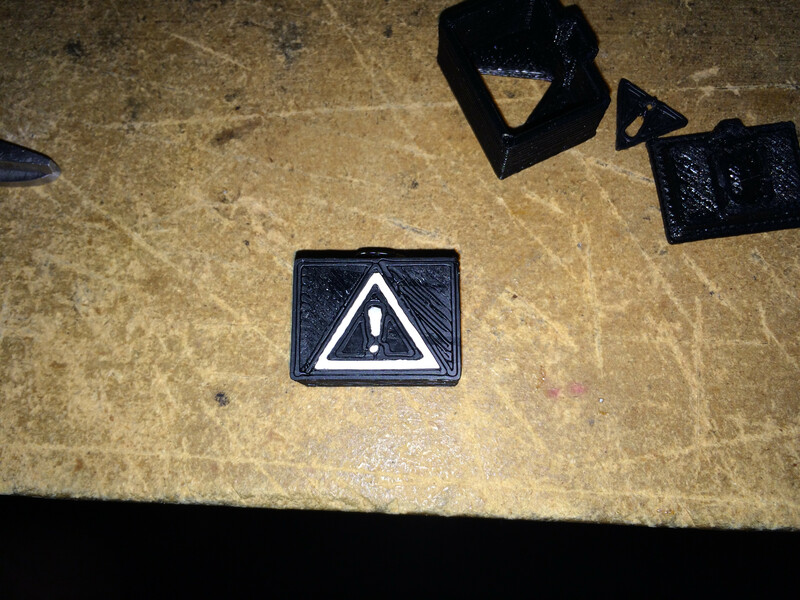 I also 3D printed an alert symbol that flashes in my HUD, but this is only noticeable at night, currently. I’ve included links to the materials I used, but there are many cheaper alternatives if you shop around! 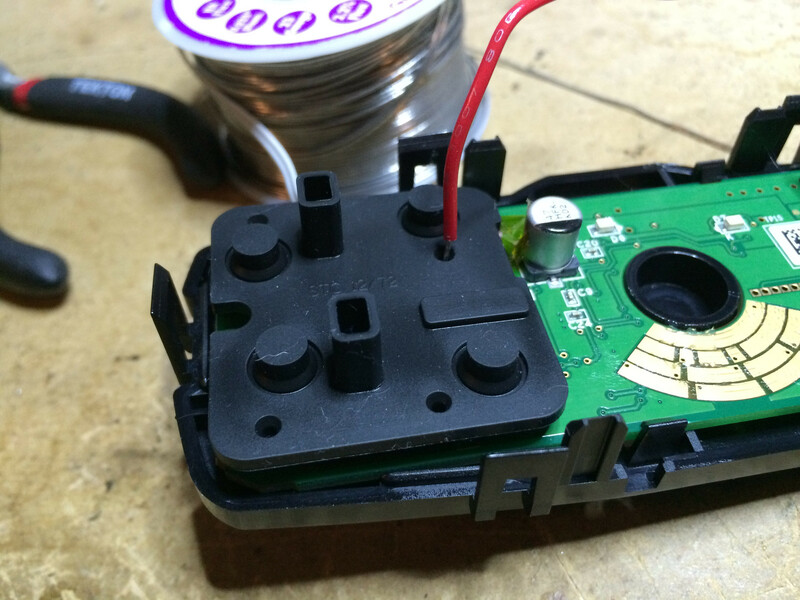 Remove the existing led and mutton button from the circuit board. 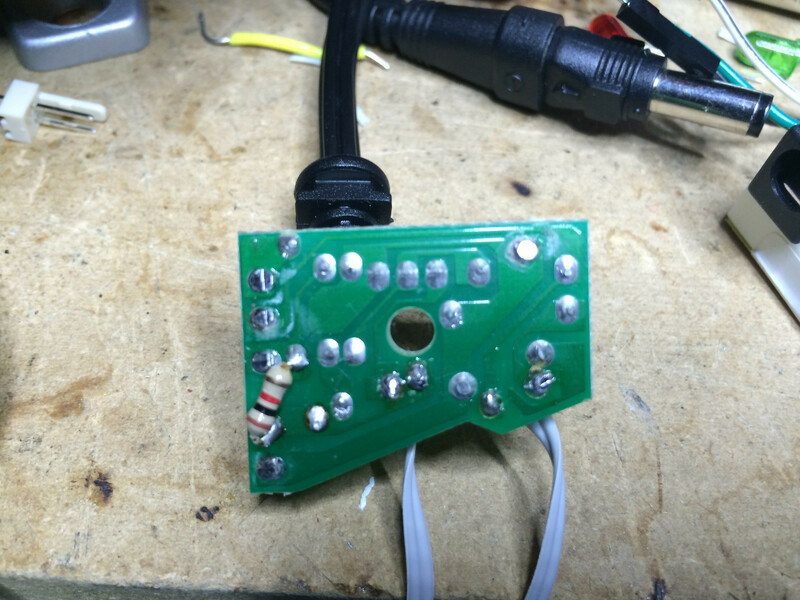 Use a small drill bit to drill new holes for each lead, and connect a wire and connector to each spot. 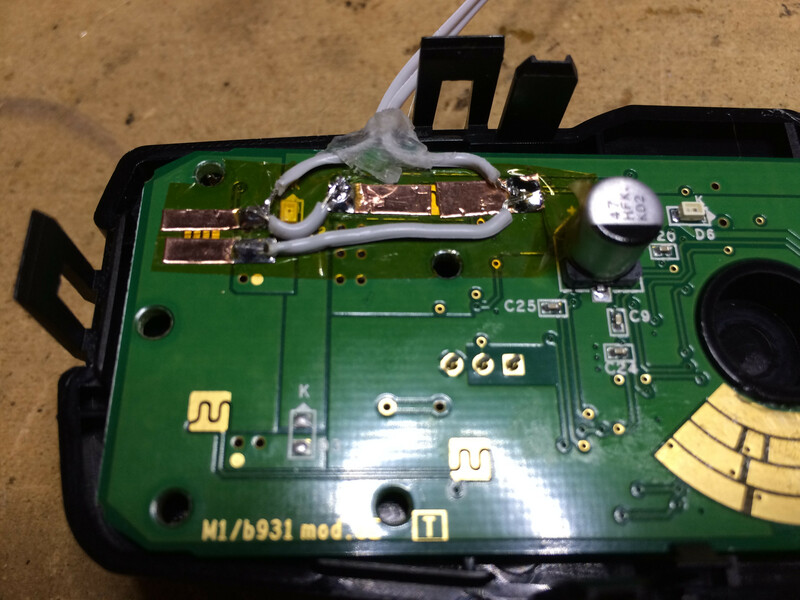 I also found that when using the red led hardwire kit, I had to add a resistor once I removed the signal led. The blue led hardwire kit already had this resistor oddly enough. 1) Print the housing. I used 0.3mm thickness and 20% infill. 2) Place the led of choice into the back plate, bend the leads appropriately to fit, and solder a thin wire onto the leads. 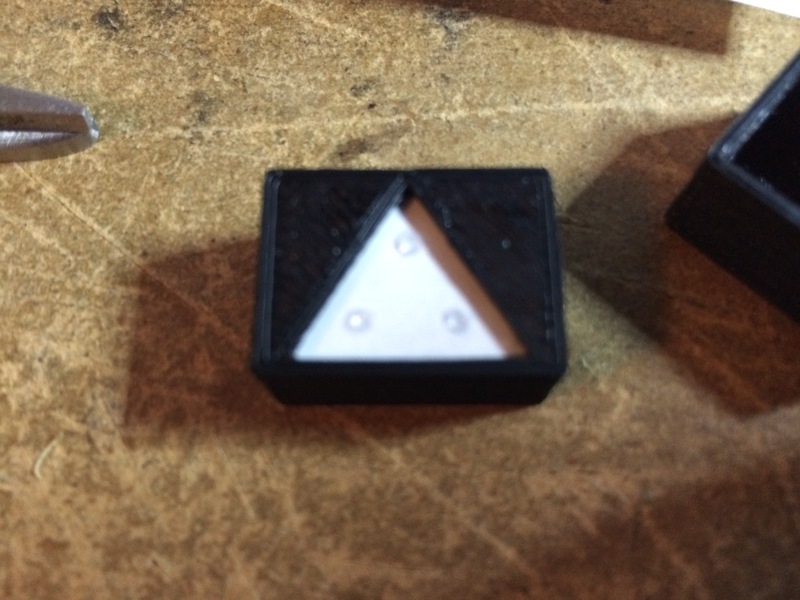 3) Cut a small piece of paper to fit inside the housing, covering the whole left by the alert symbol, This will help diffuse the light, as well as hold the symbol in place. 4) Using some glue (I used 3 dots of superglue) place the symbol on the paper, using tweezers to perfectly align the symbol with even borders all around. 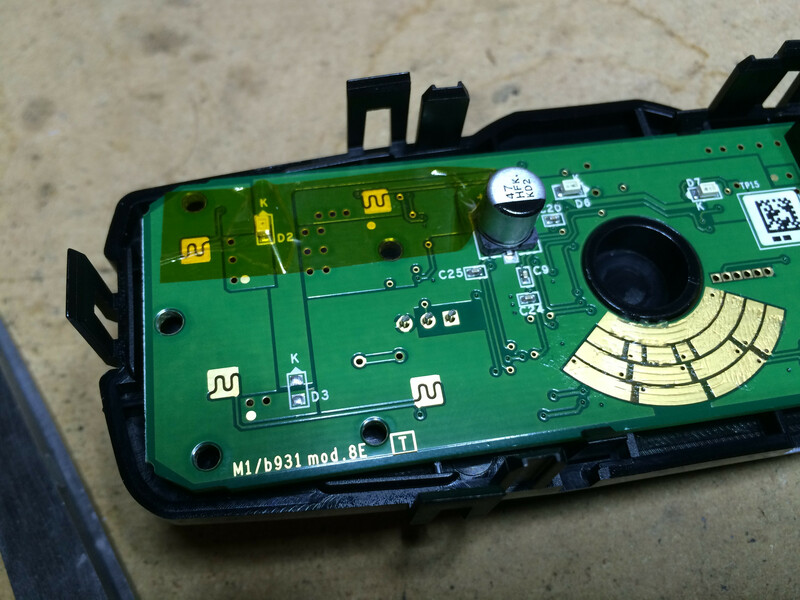 5) Snap the cover onto the back plate and use some sticky back tape to affix to the hud. You’ll need to do some testing to position it right. 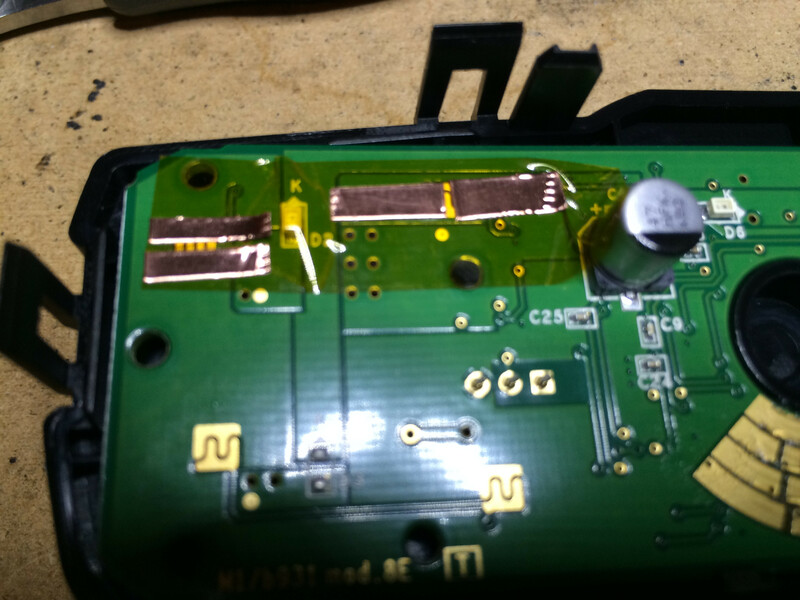 3) Lay kapton tape over the existing contacts. I chose the top button, and to put a contact on both sides, but really one side should be fine. 4) Lay 2 strips of copper tape per contact, using the existing contact as a guide. You want the two strips really close so they’ll join when the button depresses, but not touching! 1) Take down the panels from the driver and passenger sides by removing the 4 bolts on each side and gently tugging down. 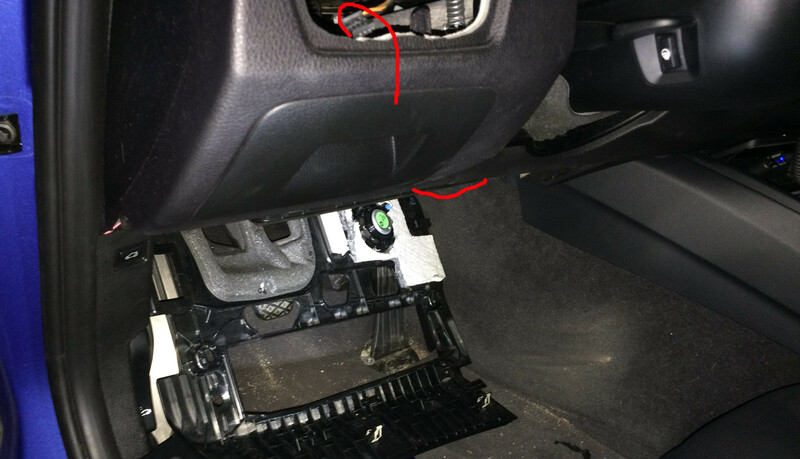 2) Find the cigarette lighter plug on the passenger side and install the taps. 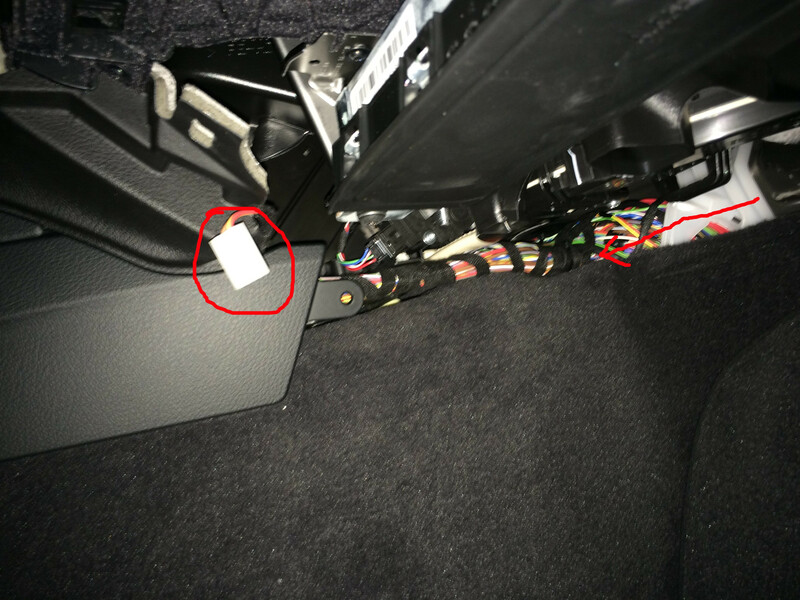 3) I used some heavy gauge wire to feed the power and ground wires from the drivers side to the passenger side through the spot the arrow is pointing at, with the cigarette lighter plug circled. 5) Pop out the panel on the left of the dash, and pull down the rubber door seal from the frame. 6) Run the cable through the open panel and up to the spot where you mount your detector. Start with the plug where it should be and start tucking the cable into the trim as you go, working back down the a-pillar. 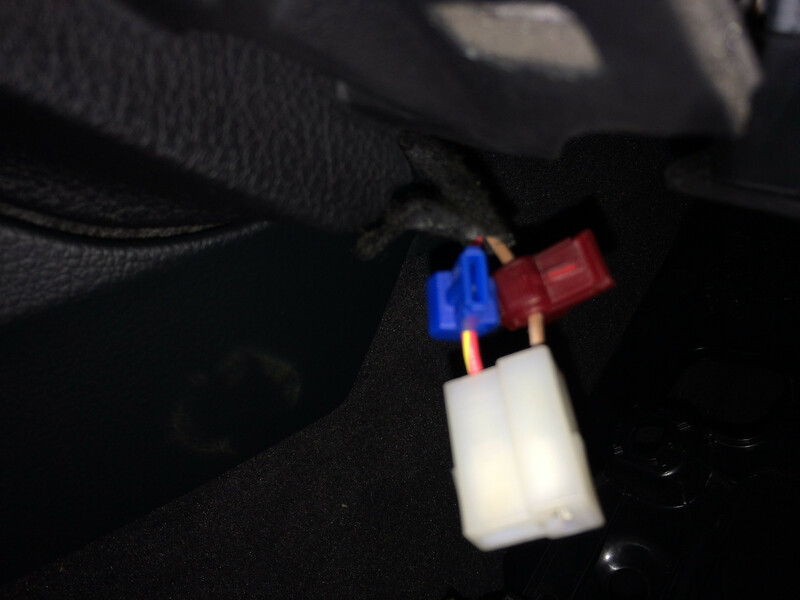 To be even safer, you can run the cable behind the airbag by removing the trim pieces altogether. 7) Reinstall the rubber trim, panel on the left of the dash, connect your optional mute button and/or remote led, put the vent back in and you’re done! Recently browsing hack-a-day I came across Michal Janyst’s project where he used an arduino with some cheap (~$3) led matrix displays to animate eyeballs on a jack-o-lantern. I really liked the idea and decided I wanted to try and drive the pupils using motion detection from the raspberry pi camera module! Unfortunately I only had a day to work on it, and I’ve never done motion detection before, so the learning began! Today is Halloween and the effective deadline for the project, and while I’m not happy with the framerate I’m getting in python, I’m quite happy with what I was able to do! I want to move the python to c++ for next year, which should triple the framerate or so. Eventually I’d like to use weight sensors under each keg to get a better estimation of keg volume, and use a liquid probe thermometer to better estimate the temperature of the beer instead of the air. I’m also moving to a NOIR pi camera module after finding it had much better low light performance, and I’ll probably add some IR lamps to help illuminate the face for recognition when the lights are off. I also need to mount the camera a bit better, ideally higher and a littler further behind the tower, but the flex arm tripod worked great for this first implementation. The source is currently avilable at https://www.assembla.com/code/smartkegerator/subversion/nodes/ but it’s certainly not finished or polished. The UI is written in QT and C++, using python scripts for the gpio flow interrupts (the c++ interrupts seemed unreliable,but python’s implementation worked perfectly) and the C loldht script found on these forums to read the temp from the temp/humidity sensor. 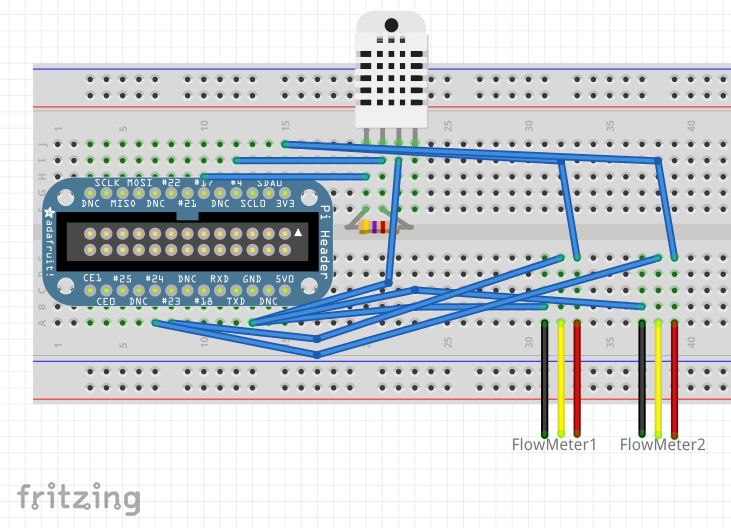 I’ve made a quick and dirty fritzing image to illustrate the connections, but I’m not very good with frizing so I’ve included text as well. On each flow meter, I connected the red to the pi’s 3.3v, black to ground, and the yellow pin to GPIO #23 and GPIO #24 for left and right sides respectively. The temperature sensor, looking at the front of it (the side with the holes) the pins go left to right 1-4. 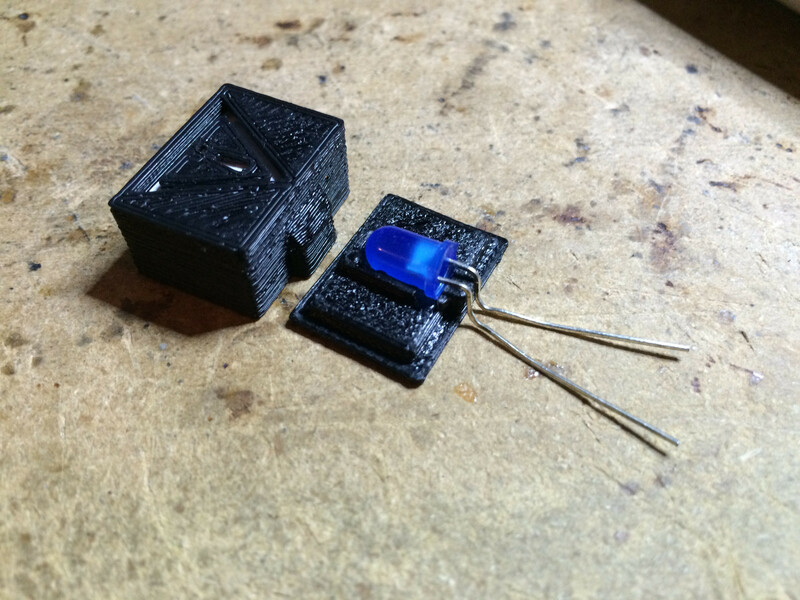 Pin 1 to GPIO #17, so that I can turn it on/off by writing power out on pin 17. Pin 2 to GPIO #4. Pin 3 to ground. And lastly put a 4.7k ohm resistor between pins 1 and 2. I recently moved away from the OCR method of reading data from pandora, and moved to a google chrome plugin. This has the downside of requiring chrome to be running, but it allows infinitely more control.